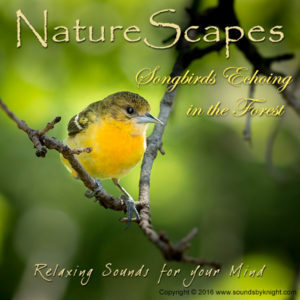 Fill your sense with the beautiful sounds of birds singing in the forest by a gentle wilderness stream. The cheerful musical sounds of playful songbirds will both make you smile and soothe your soul. 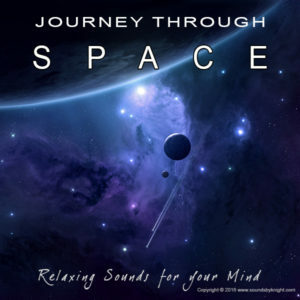 . .
Take a Journey Through Space with our New Release! Living in the Star Trek, Star Wars era I was always fascinated with how a spaceship traveling across the Galaxy would sound like. In “2001 – A Space Odyssey”, Stanley Kubrick took particular care in trying to accurately simulate the sounds of the inside of a spaceship… and did a pretty good job especially when space travel was so new back then! 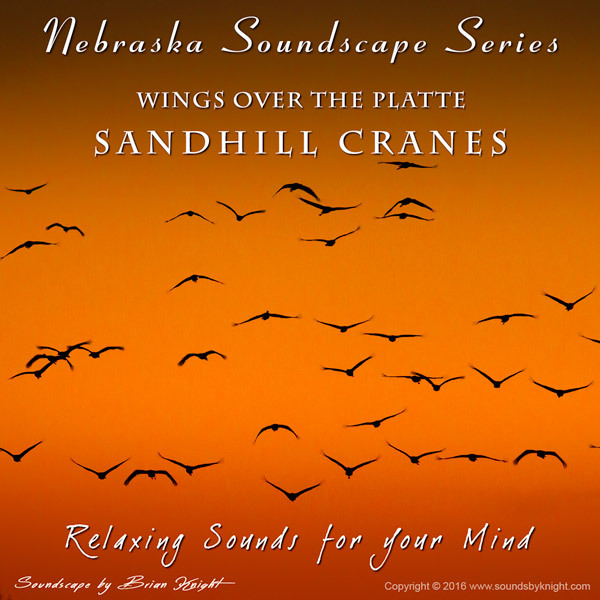 Nebraska Soundscape Series, Sandhill Cranes – COMING SOON! Each spring central Nebraska gets to witness one of true wonders of the natural world… the spring migration of the Sandhill Cranes. Hundreds of thousands of cranes descend upon Nebraska’s Platte river basin between Karney and Grand Island to rest and feed before heading north to mate. In late March 2014 I made the trek west to record & photograph this wonderful event. I spent 4 days in the field capturing the haunting voices of the cranes as they make their way back to the river for the evening. This all started when I posted a sound video on YouTube “Distant Trains Echoing in the Rain” back in 2012. I’ve been a lifelong railfanner and have recorded countless hours of train sounds but most of my recordings were sounds of locomotives close up “in your face” type of recordings (not very relaxing for many). Right away I started getting requests (lots of requests!) to buy this recording but never offered it for sale because of its short play time… this is when I started my new train sounds project. 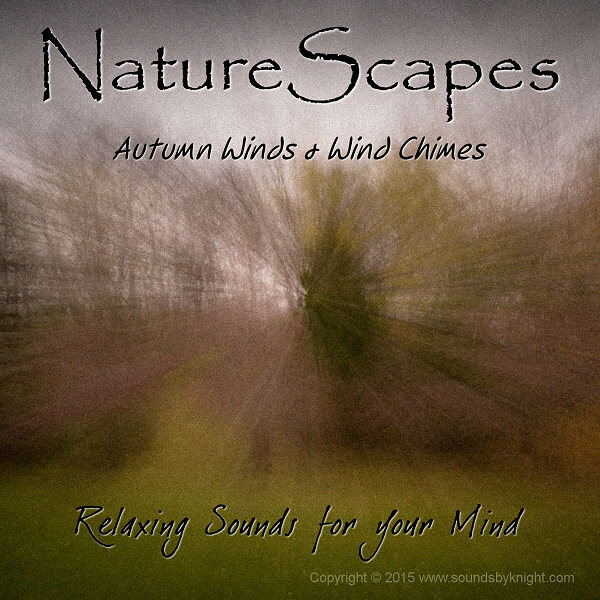 NEW RELEASE – Autumn Winds & Wind Chimes! 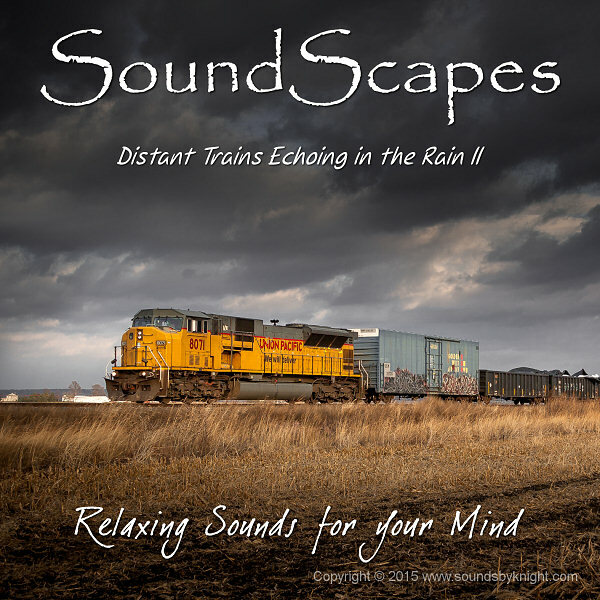 Enjoy the relaxing sounds of a Midwestern autumn breeze blowing through the trees. Listen as the wind blow through the leaves, releasing their final grip on the branches and scurry across the ground… the haunting sound of wind chimes can be heard playing their tune off in the distance. This album was recorded in a open field surrounded by beautifully colored trees. Winds were blowing 30 to 50 mph making for some great howling sounds through the limbs and leaves getting blown across the landscape. The biggest challenge was trying to keep the wind from effecting the mics… and me from getting blown away! I really enjoyed making this recording and hope you enjoy it too! 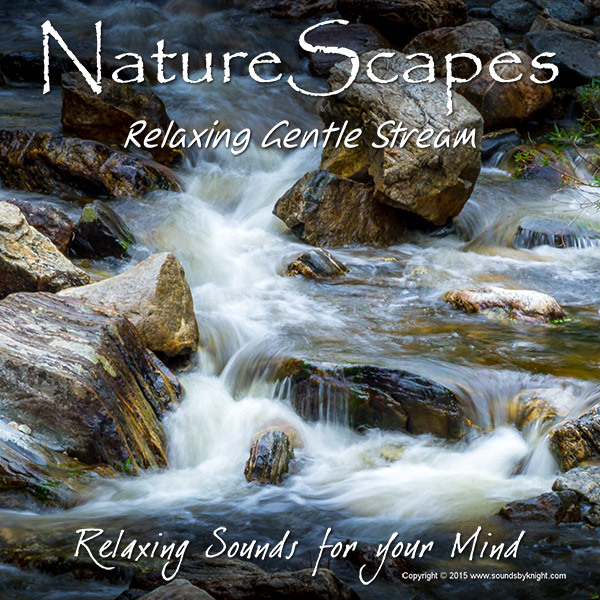 New Release… Relaxing Gentle Stream! Recorded in Rocky Mountain National Park at Fall River Creek in Endo Valley. This creek starts high in the Trail Ridge alpine and winds its way down through Endo Valley where it finally meets up with the Big Thompson River. I was able to get special permission from the park ranger to re-enter this part of the park after closing to capture the sounds of the creek without any people around. I set the mics up along the rocky bank and let the recorder run for several hours throughout the night. 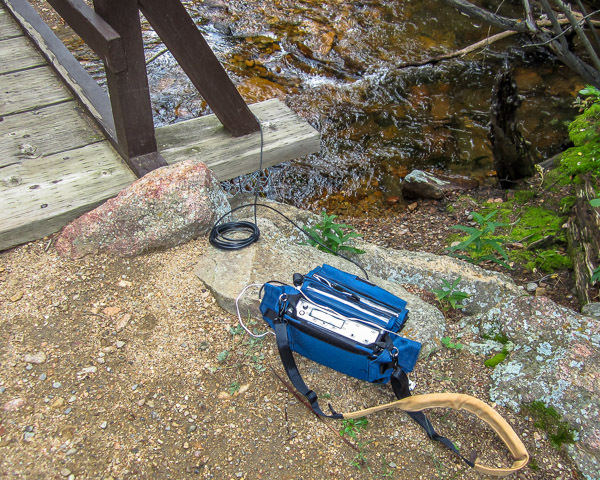 I returned the next day and recorded at the same location using a hydrophone mic placed in the water to capture the gurgling sounds. I then mixed this in with the open air recording creating a very “open” dynamic recording. Copyright 2019 BPK Inc. All rights reserved. Unite Theme powered by WordPress.